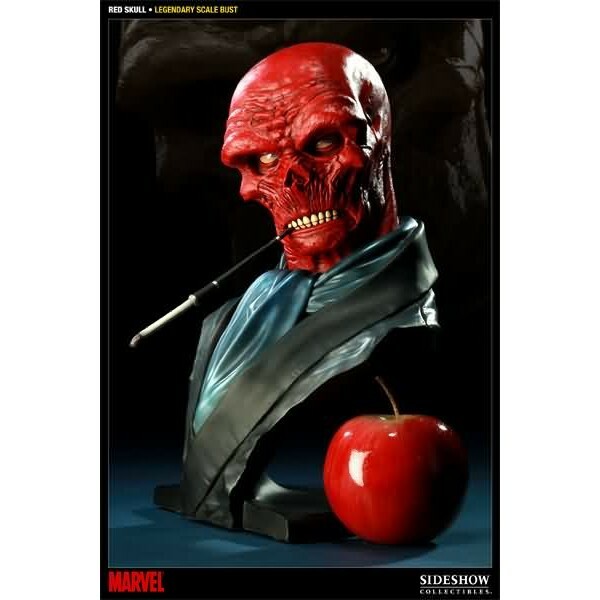 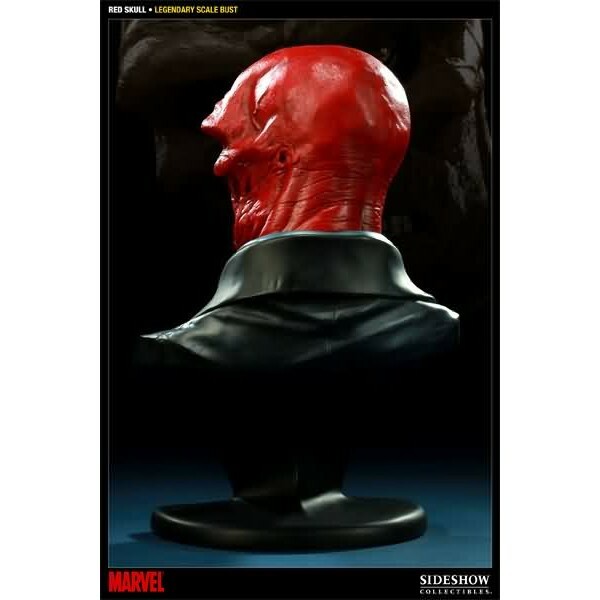 Sideshow Collectibles and Marvel Comics proudly announce the latest addition to Sideshow's Marvel Legendary Scale Bust series: Red Skull. 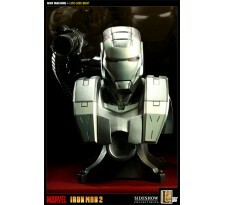 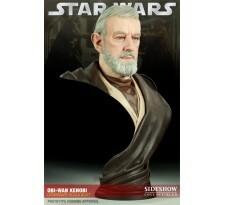 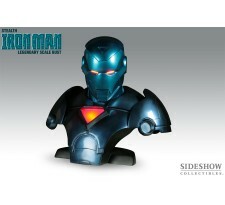 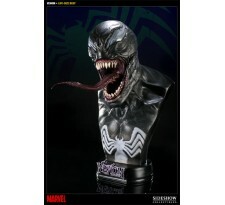 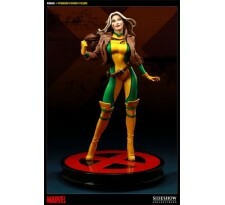 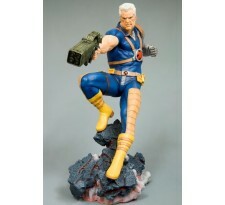 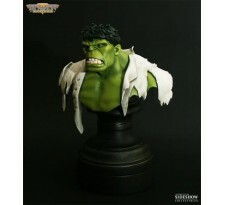 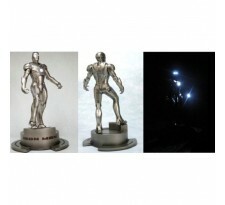 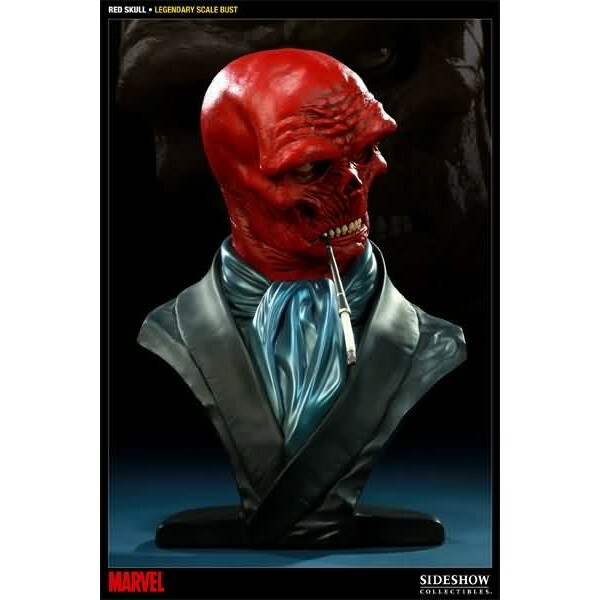 Each bust is individually painted and finished, each with its own unique quality and detail that is the trademark of a handcrafted Sideshow Collectibles product. 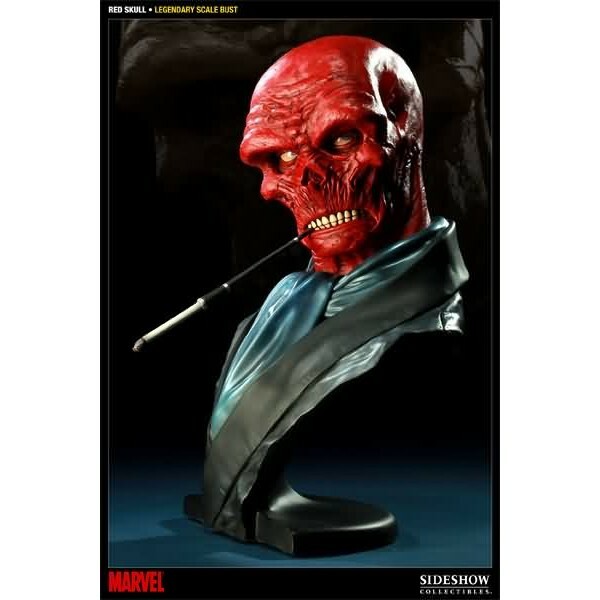 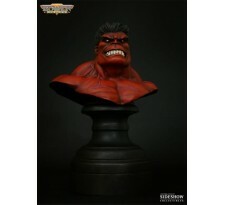 Capturing the villainous Nazi in outstanding detail, the Red Skull Legendary Scale Bust is a perfect addition to any Marvel collection!